A few hours ago we took a look at Flipboard, a hot new iPad app that has just launched with a flurry of hype. It looks like that launch might have been a little too successful though; the flood of interest has led to Flipboard’s servers reaching capacity and new users are finding that they simply can’t use the app. Unlike Pulse, a similar iPad app that takes RSS feeds and renders them as beautiful ‘magazine pages’, Flipboard takes links being shared by your Twitter and Facebook friends and turns them into a magazine for you to read on your iPad. Having to go away to find what links are being shared, pull that content in, reformat it and push it to your iPad requires a lot of server-side work and it appears Flipboard just wasn’t prepared for the rush. 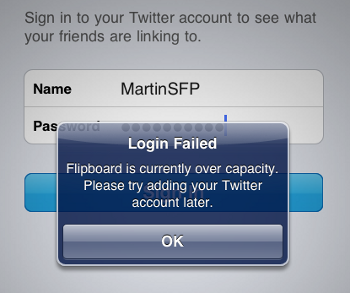 Try to add your Facebook or Twitter account right now and you’ll be greeted by a message stating “Flipboard is currently over capacity. Please try adding your Twitter/Facebook account later.” Meanwhile, users who could add their accounts are reporting that the app is slow or refuses to update. 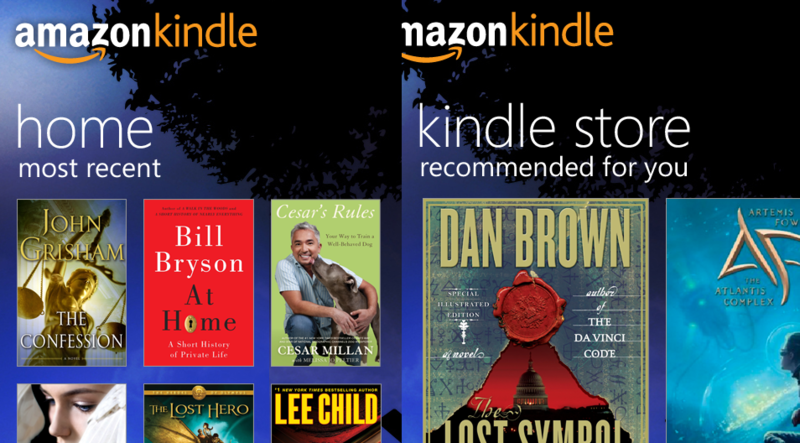 We assume that means that by the US west coast morning at least some more users should be able to get on board. 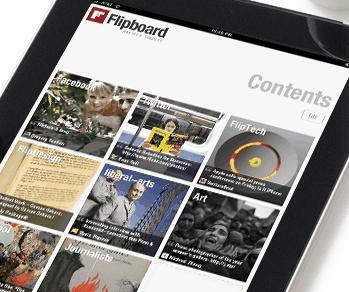 So, a dream start for Flipboard in many ways but it’s already become a victim of its own success. We hope they get sorted soon, if only so the rest of our team can have a play! UPDATE: A Flipboard team member comments below: “The team is all here at Flipboard deploying more boxes and monitoring usage to improve performance and open another wave of users.” We appreciate the hard work guys, make sure you get some rest though!